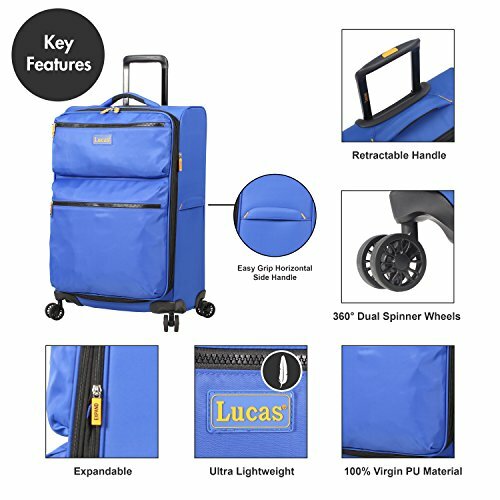 Lucas Luggage is a brand that sells affordable luggage. So, if you are in the market for something that won't empty your wallet, then these suitcases are worth a look. Which is why we decided to review them really. They have a pretty wide range of suitcases to choose from, including both softshells and hardshells. As well as a few other types of bags, which we won’t really talk about in this review. Below I will go over the quality of these suitcases, in an attempt to answer the age-old question – does a low price tag necessarily mean low quality? In my experience, it usually doesn’t. But that largely depends on the brand you are buying and just how low that price is. So, let’s check out some of these Lucas Luggage suitcases and see just how good (or bad) they are. 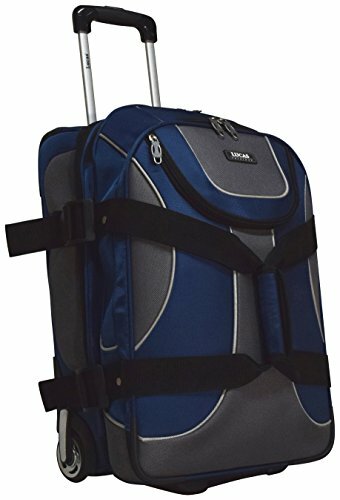 Lucas Luggage Review: What Are The Best Options? Like every other brand, Lucas Luggage makes suitcases in several sizes. They range from 20” carry-ons to 31” checked bags, which is pretty standard for suitcases. You will want to check the product specs boxes to find the exact size of the suitcase you are looking at. I will tell you all the relevant specs of all the versions of a particular suitcase. All you need to do is make sure you are checking out the right one. In addition to that, if there are any other differences between two suitcases from the same range, other than their size, I will make sure to point them out. If you know what you are looking for, then feel free to skip over this section. But if you’re still not sure which option is the right choice for you, I’m here to help. 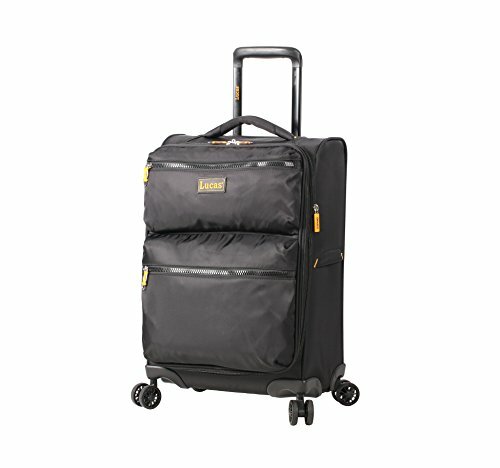 In general, a hardshell suitcase is a better choice if you are looking to get a large, checked bag for airplane travel. There are a few reasons why that is, but the most prominent one is their durability. Your checked suitcase will get thrown around – if airline personnel were careful and gentle with every single suitcase they handled, we’d all have to arrive at the airport about 6 hours before the actual flight. A softshell suitcase is more likely to break or get squished, while a hardshell one was built to endure the tough love. 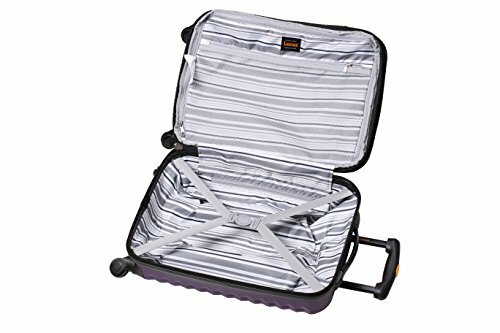 On the other hand, if you prefer to travel by land, then a softshell suitcase is perfectly fine for you. In that case, it comes down to your personal preference; do you want one packing compartment or two? 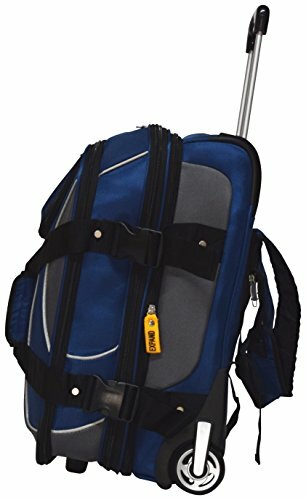 Do you care about external pockets on your suitcase? 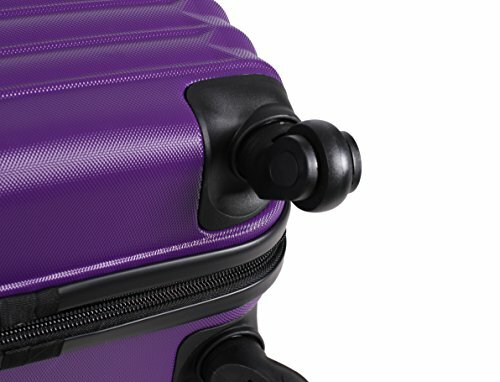 Are you dead set on buying luggage with spinner wheels? Those are pretty much the only things you need to figure out, in order to buy yourself luggage that is perfect for your own needs. Personally, I’m a big fan of value sets. You will save money buying them, as compared to buying individual suitcases. And, with these affordable brands, a set is often just $30-50 more expensive than a single suitcase. Which is perfect if you are looking to get more than suitcase anyway. Plus, if you’re not sure which size is right for you, you can get a set and try out suitcases of different sizes and see which is the better fit. Additionally, they make for the perfect gifts for your loved ones, because let’s face it; everyone needs a suitcase but doesn’t really like buying one. If a particular type of suitcase comes in a value set, I will list it in that same section. If you don’t see an option to check out value sets for a suitcase, then that means there are none. There aren't too many softshell suitcases, so we'll start with them. All of them are available on Amazon for a bargain, so you'll definitely want to check out their prices if you like any of them. 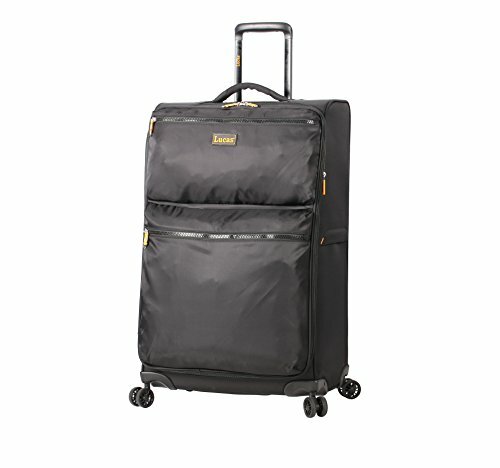 This collection includes three suitcases – a 20” carry on, and 24” and 28” checked bags. 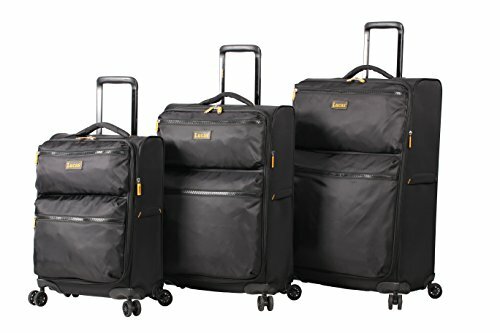 All of the suitcases can be purchased separately, or as a three-piece value set. Getting the set instead of individual suitcases would save you at least $50, which is not at all bad. 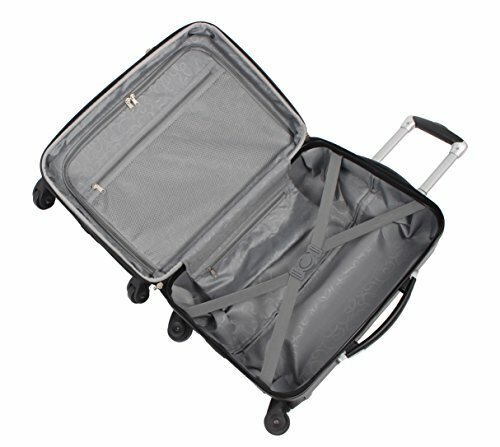 They are all made of polyester, which is not the ideal material for luggage since it is not very durable. And I have to say this; the external pockets are made of a slightly thinner material than the rest of the suitcase, which just makes them look cheap. But that’s the biggest issue I have with this luggage. 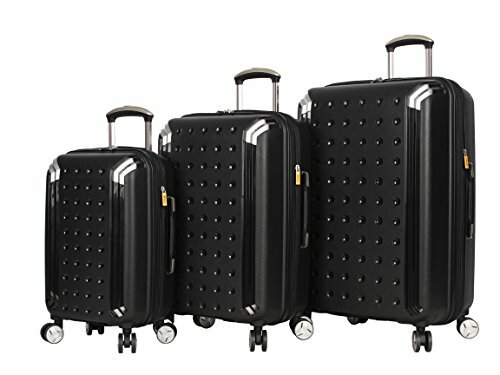 All three of the suitcases are equipped with the same features. 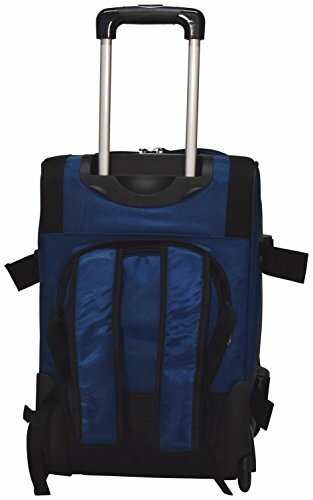 And those include double spinner wheels, a telescopic wheel handle, a fully lined interior with several pockets and elastic tie-down straps, as well as two external front pockets. 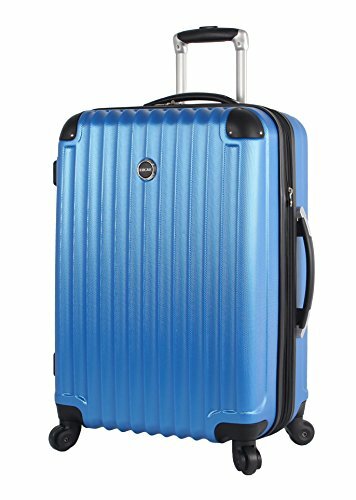 If you’re mostly worried about organization of your stuff, then these suitcases are a really good choice. Their names claim that they are ultra lightweight, and they aren’t even lying. The largest suitcases maxes out at 7.2 lbs, which is pretty awesome. I mean, we’ve seen carry ons that weigh more than this Lucas Luggage suitcase, so I’m pretty satisfied with their weights. You can check out the exact weights of all three bags in the product info boxes below. 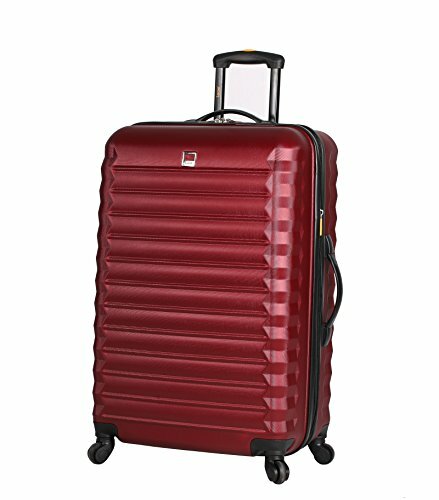 And keep in mind two things; the dimensions refer to the dimensions of the suitcases including the wheels and the handles. Their bodies are obviously slightly smaller. The other thing to note is that the capacities listed refer to the original capacities of this luggage. And that’s important because every single one of these suitcases has expandable capacity, which will give you additional 12 liters. Not bad Lucas Luggage. This is a particularly interesting suitcase collection. For one thing, there are so much more than suitcases – they’re also duffel bags and backpacks, all in one. And if you are a fan of this design of luggage, then the Sport suitcases might be the right choice for you. This particular collection also comes in a value set, which includes three suitcases and a regular duffel bag. But keep in mind that the 25-inch suitcase is only available in the set for now. So, what about the features? Well, they’re pretty much average. 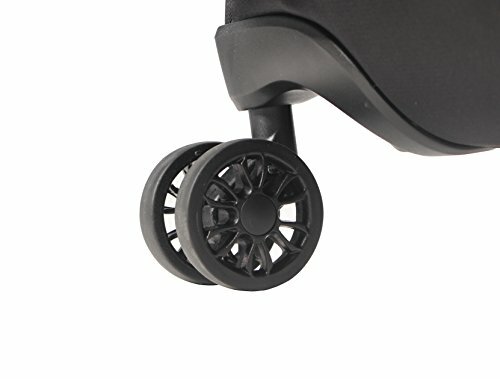 You get in-line wheels, which mean that you will have to tilt this luggage to get them rolling. And that could cause some sore arms the next day, especially if we’re talking about the largest bag. 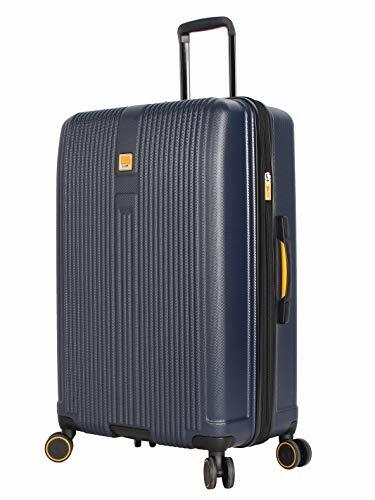 Other than that, these suitcases also have a telescopic wheel handle that locks into extended position, a single packing compartment with tie-down straps and a large pocket, a separate front compartment and a small external pocket. In terms of organization, they are a pretty decent choice. Plus you get the compression straps on the outside of your suitcase, which will come in handy if you don’t really use the entire capacity of the suitcase. Just tighten them up nicely, and all of your stuff will stay in its designated place. The entire Sport collection (except the duffel bag) also has expandable capacity, which will give you 2 more inches of packing space. That’s particularly useful for all of you who often come back from trips with more stuff than you initially brought. 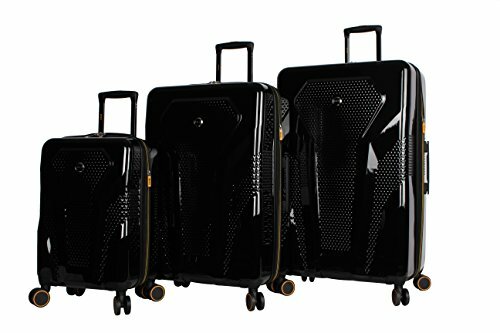 Overall, they’re not the most premium suitcases, but they are certainly interesting enough to make you want to try them out. There’s something really interesting about Lucas Luggage hardshells. Apart from the two distinct collections that we’ll talk about, there are also several other hardside suitcases with the exact same features. However, a different color means a different design of the shell, and so none of them look alike. You’ll see exactly what I mean when we get to that section. But let’s kick things off with the Treadlite and Outlander hardside collections. The Treadlite suitcases look like your typical hardshell suitcases. They have a ribbed shell, which will make any scratches on it less visible. 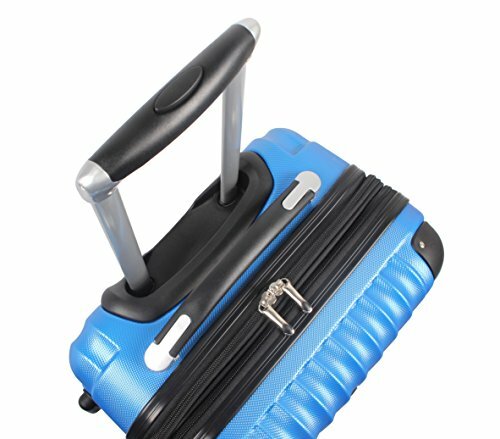 The exterior of the suitcases is made of ABS plastic, which is probably the reason why they aren't at all expensive - ABS is often used in affordable luggage, because it is less expensive than Polycarbonate. However, it is also a less durable material, so there's that. The Treadlite collection features three suitcases - a 20" carry on, and 24" and 28" checked suitcases. Those are pretty standard suitcase sizes, so no surprises there. The entire collection has expandable capacity and all of them are equipped with single spinner wheels, a telescopic locking wheel handle as well as a couple of grab handles. And you can get them all in a value set, which will definitely some you some $$. Both compartments of this luggage are fully lined. The top compartment has a full panel zippered divider with a large mesh pocket on it, which is great for organization. The bottom compartment also has a zippered pocket, but it's much smaller than the previous one. And there are elastic cross straps in the bottom compartment, which will keep all your stuff in place. Overall, the interior of these suitcases is good - pretty much what you would expect of any other hardshell suitcase. However, they do lack a few features that you would want a hardside suitcase to have. There are no locks on these suitcases, let alone any TSA locks. Which is a downside, sine you want to be 100% sure of the safety of your items. Especially if we are talking about a checked bag, which is going to be out of your sight for hours on end. Additionally, the option of locking the wheel handle in a few different positions would have been a nice inclusion. But overall this is some good luggage for the price. The Outlander collection is very similar to the Treadlite collection. 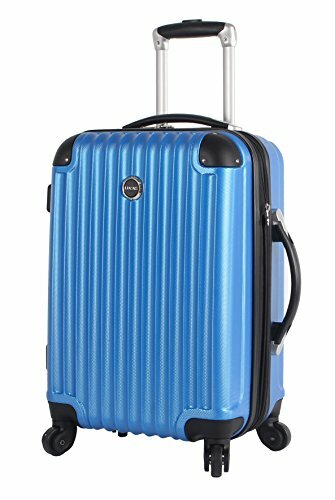 These suitcases also have single spinner wheels, a telescopic wheel handle, two carry handles and two packing compartments. The interior of the Outlander luggage is fully lined, with a zippered divider in one compartment and elastic cross straps in the other. There are, however, a couple of differences between these two collections, and we'll talk about them in a minute. First, you can get the Outlander suitcases in three different sizes - a 20" suitcase, a 24" suitcase and a 28" one. And you can get a value set of all three suitcases for less than $200! The Outlanders are slightly larger than the Treadlites (except for the largest suitcase), but the difference is barely noticeable. And these Lucas Luggage suitcases are also lighter than the previous ones, which makes them a slightly better choice. Especially if you're getting them for a flight and you want to be careful about how much you pack in them. The other thing that differs between the two collections is that these suitcases have reinforced corners. This will make them slightly more durable and allows for better impact resistance. So, even though both the Treadlites and the Outlanders are made of ABS plastic, the latter will do a slightly better job at surviving multiple flights. Unfortunately, this collection also doesn't feature any locks on the luggage. But at least you do get expandable capacity and a couple of pockets inside the suitcase - even though your stuff might not be 100% safe, it will definitely be neatly packed and organized! So, these are the suitcases that I mentioned in the intro. They all have the same features and very similar interiors – the lining is pretty much the only thing that differs. 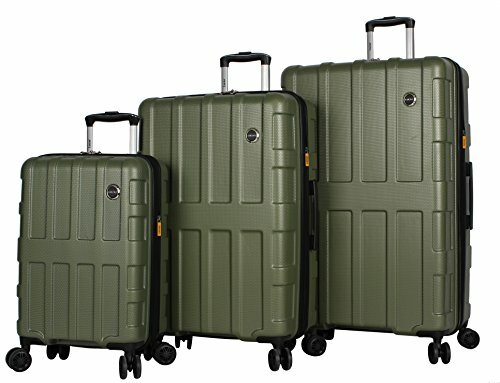 Additionally, all of these suitcases have a composite shell – 90% ABS and 10% Polycarbonate. They are durable, lightweight and come in a few different sizes – 20”, 24”, 27” and a few 31” ones. So, what’s the deal with these suitcases? Well, technically there are 5 different collections – Allure, Stratus, Cosmo, Avalon and Genesis. But like I said, they have the exact same features, and the only differences are the design and color of the shell. And the color of the lining. The expandable spinners have two packing compartments. The top one has a zippered divider with a small zippered pocket, and a large slip pocket. The bottom one, on the other hand, has a single zippered pocket and a couple of cross straps to keep your belongings in place. 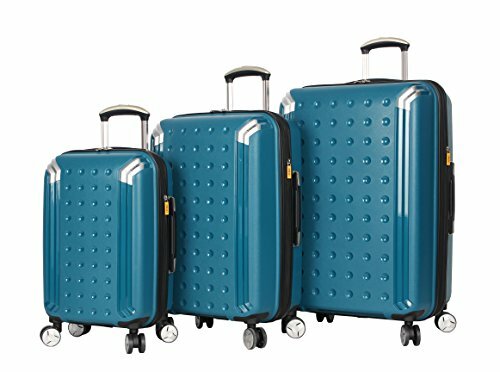 As their name suggests, all of these suitcases have double spinner wheels and expandable capacity. Additionally, they also have a telescopic wheel handle, reinforced corners and two carry handles. Still no locks on Lucas Luggage, but you can always get a TSA padlock if you want the extra security. I definitely think that you should consider getting the value sets, if you need more than one suitcase. They are much cheaper than individual suitcases, and you will really get some great value for money, whether you are looking to get a softshell set or a hardshell set. But if you are only looking for one suitcase, then I would recommend the Ultra Lightweight Originals. 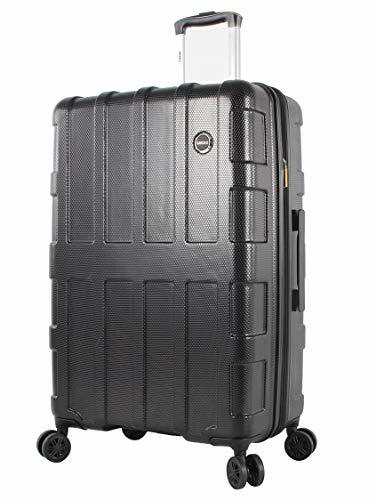 I think it’s the better one out of the two softshells, mostly because of its spinner wheels and numerous pockets and compartments. The only downside is that it doesn’t look too luxurious – but get it in a colorful design, and no one will be able to notice that. Out of all the different hardshells, I think the Outlander is the best choice. These suitcases are definitely the lightest, which is always a welcome feature. And they have all the necessities of a good hardshell suitcase – lined interiors, a zippered divider and a few pockets inside. Along with the spinner wheels and a telescopic wheel handle on the outside. But honestly, all the hardshells are pretty similar, so you will be fine whichever one you choose. That was just a personal favorite. Be sure to check out the luggage on Amazon but beware – their prices are very hard to resist.